1. Talent Management: The science of creating strategic human resource 'pipelines' of talent around three key areas and their subdivisions namely recruitment (attraction, sourcing, selecting), development (induction, coaching, L&D, performance management & more) and retention (culture, reward management, employability and career development). 2. HRM Business Partnering: Working alongside senior leaders to strategically develop a people growth agenda that closely supports the overall vision and aims of the organization, while jointly developing contextual and practical HR operations in order to maximize the performance, motivation and efficiency of staff. 3. Organisational Development: Developing effective change management procedures for organisations. 4. Coaching, Learning and Development: This includes team and individual coaching (over 600 hours of coaching were logged in 2012/13 alone) and designing contextual blended learning delivery programmes. Gareth is based in Durban but works all over South Africa. Gareth is currently completing an MSc in Human Resource Management through Herriot-Watt University, Edinburgh Business School. 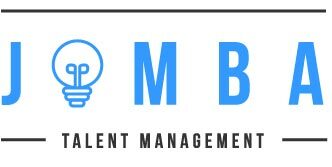 Click here to learn more about the services provided by Jomba Talent Management.